Fall is here so this momma has been keeping an eye out for shoes. This is my most favorite time of the year. Shoes are my fashion specialty. Especially during the summer/fall. 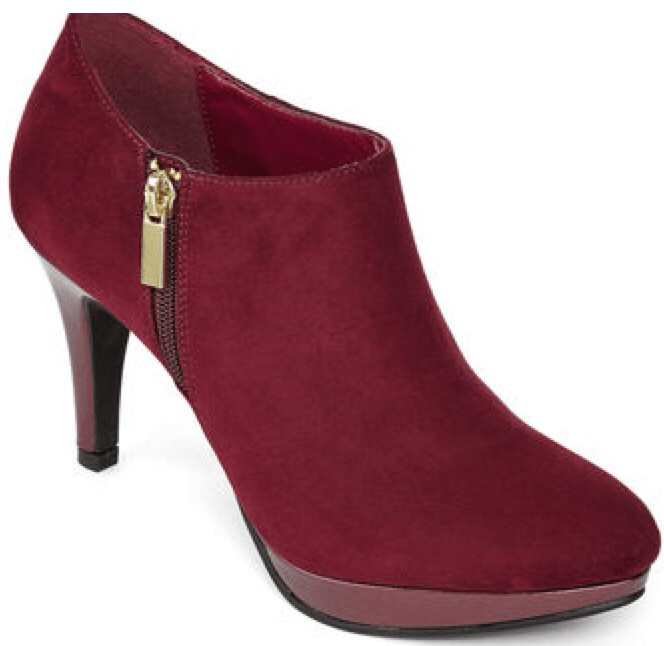 Here are my top ten booties under $50. 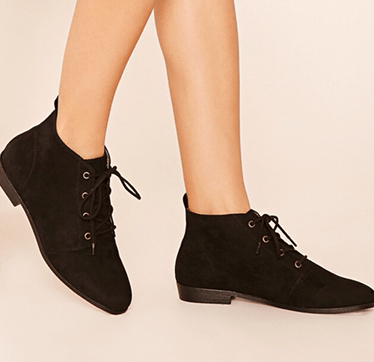 Forever 21: These booties are only $15. What a steal. They also come in black, tan, brown and bergundy. They run a half size small so keep that in mind. 2. T J MAXX: These booties only retail for $19.99. The also come in Taupe and the zipper on the side is great for slipping on and off. For the price you can beat these. The 3. 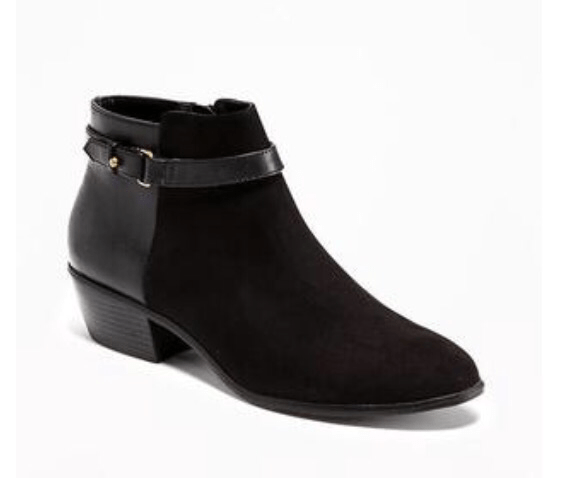 Old Navy: Only $39.94 these ankle strap boots are a steal. They come in black and chestnut which are both great colors for this season. They are suede so I would watch out for liquids. 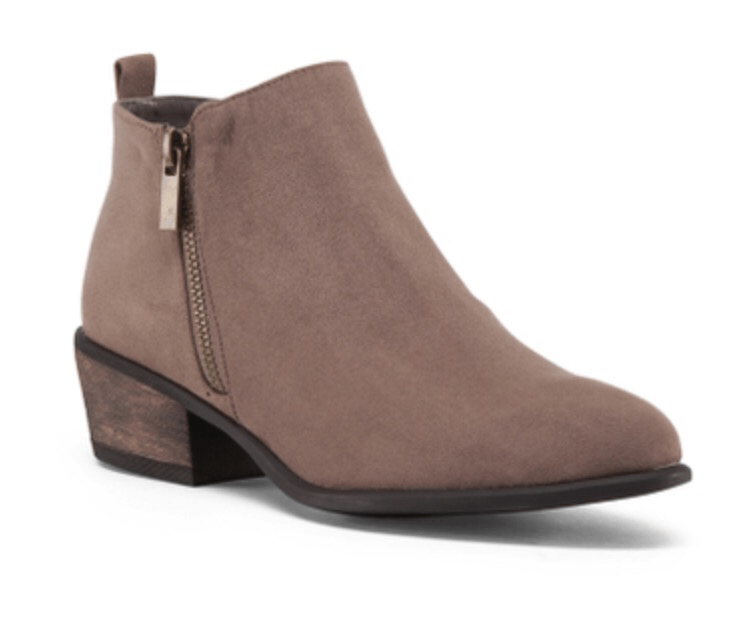 All in all these booties are great to pair with jeans or leggings. 4. JC Penney: On sale for $27.99. Make sure you grab these before they sell out. They will match great with any holiday outfit. Anna Sally on Amazon: Only $21.95 and comes in a great selection of colors. 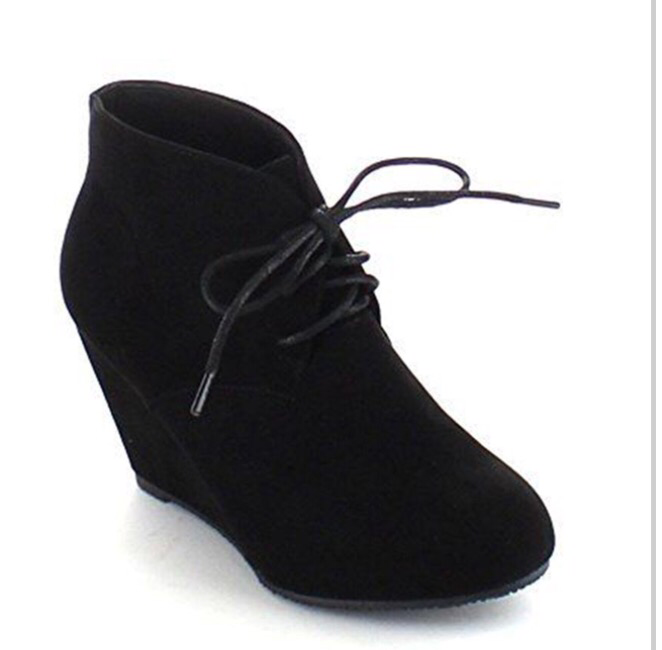 If your a wedged bootie type of girl this shoe is definitely for you.